The next flagship smartphone from South Korean manufacturer Samsung will reportedly be offered in two versions —a metal-clad premium edition and a cheaper model sporting a plastic case. The news comes one week after Samsung mobile executive Lee Young Hee said that the company would be going "back to the basics" with the industrial design of their bellwether device in an effort to excite customers that Samsung believes were disappointed with the similarities between the Galaxy S3 and S4. Normally-reliable Samsung watchers SamMobile were the first to report the split. If true, the move would mirror Apple's decision to drop its longstanding practice of discounting the previous year's model in favor of a new, bifurcated lineup. 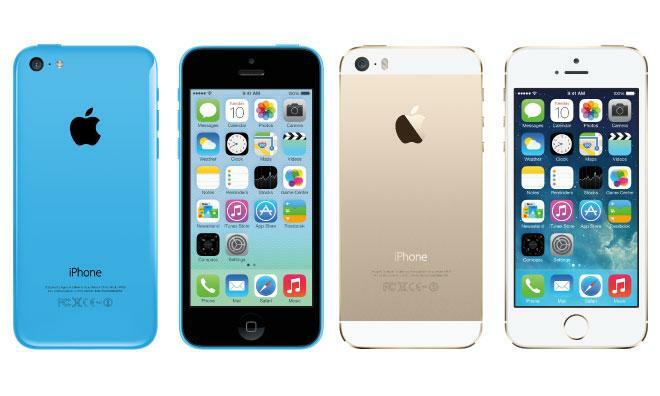 With the introduction of the iPhone 5s, Apple discontinued the iPhone 5 in favor of an all-new iPhone 5c featuring a polycarbonate shell in a variety of colors. Samsung is also considering adding biometric authentication capabilities to the handset in order to counter Apple's popular Touch ID feature. Lee said last week that "many people are fanatical about iris recognition technology" and that Samsung was "studying the possibility" of including it in the Galaxy S5. As for pricing, the premium version is expected to retail for 800 ($1,093) while the plastic-backed variant should fetch 650 ($889) when the devices are unveiled this spring, according to the report. Apple's iPhone 5s, in comparison, starts at 699 ($955) for a model with 16 gigabytes of memory and the iPhone 5c comes in at 599 ($819) for the same configuration.